Tillman, D.A., An, S.A. & Boren, R.L. (2015). Assessment of Creativity in Arts and STEM Integrated Pedagogy by Pre-service Elementary Teachers. 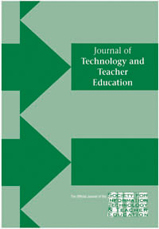 Journal of Technology and Teacher Education, 23 (3), 301-327. Waynesville, NC USA: Society for Information Technology & Teacher Education. Retrieved April 22, 2019 from https://www.learntechlib.org/primary/p/151568/.